Doncaster Town B clinched promotion from Division Three with a comfortable win over Barnsley Woolley Miners C.
Warren Graca starred with bat and ball for Town’s second string, who had flirted with the relegation zone earlier in the season. He claimed 3-16 to help dismiss the visitors for 96. Graca then smashed his way to 68 not out, including 11 fours and a six, as Doncaster eased to a nine wicket victory. The win ensured that Town, who turned their season on its head by losing just one of their last 12 games, claimed the third and final promotion spot. Tickhill B beat relegated Mexborough by 69 runs. Scott Lowe (68) and Matthew Lowe (45) helped the hosts up to 198-7. Jamie Lomas took 3-32. In reply Mexborough could only muster 129 all out. Ryan Tingle top scored with 52. Jake Wildsmith clean bowled three batsmen in recording 5-28. Sprotbrough B sealed promotion to Division Three by beating Conisbrough B at St Peter’s Drive. Conisbrough elected to bat first and skipper Michael Blakemore scored 69 and Jack Whittaker 51 in their total of 175-9. Tim Braithwaite claimed 3-40 and Ashley Langdale 4-42. Sprotbrough raced to victory in 22.5 overs, losing three wickets in the process. Thomas Langley smashed his way to 80 not out in just 43 balls, with a boundary count of 13 fours and three sixes. Skipper Thomas Pepper also contributed 39. Adwick-le-Street closed their season with a good victory at home to Division Four champions Bradfield. The hosts made 184-7 including 36 from skipper James Wadsworth, 49 from Paul Bishop and 33 from Joel Logan. Bradfield were all out for 140 in reply. Lewis Hogg did the major damage, claiming excellent figures of 7-24. 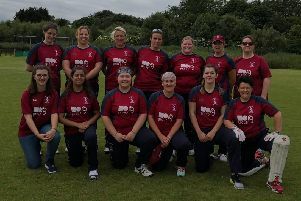 Warmsworth brought the curtain down on an inconsistent Division One campaign by losing at home to Aston Hall B, who secured promotion to the Championship as a result. Liam Marshall scored 64 in Warmsworth’s total of 175 all out. Aston needed four wickets for their victory. Stumper Nathan Ward scored 51 and D Smith was 60 not out at the close. 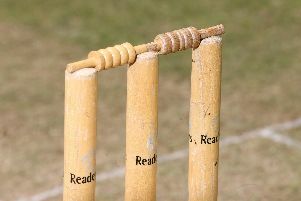 Doncaster Town C were relegated from Division Five after losing by two wickets at Higham. Town were bowled out for 127. Ryan Marsh took 4-62 but the home side edged to victory.